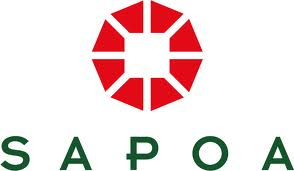 Exhibiting at SOPOA Property Conference & Exhibition 2014? Exhibitors: Over 80 national & international exhibitors. One of the highlights on the annual calendar for SAPOA members, partners and all commercial property practitioners. 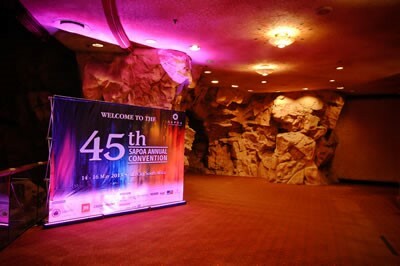 The 46th SAPOA Convention is expecting approximately 1,200 delegates. The exhibition, which runs during the week of the convention, is expected to attract over 80 national and international exhibitors. 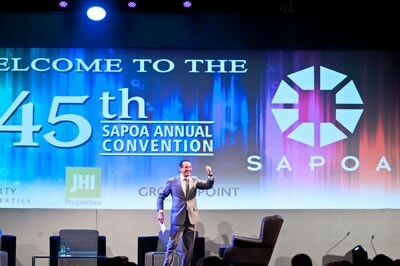 The SAPOA Convention and Exhibition also provides an exceptional forum for interaction within the commercial property sector and with all levels of government, as SAPOA engages with its diverse stakeholders. The theme for the 2014 convention is “Making a difference”. The convention committee has been hard at work preparing an exciting and stimulating programme, with many opportunities for debate and discussion, such as keynote addresses and panel discussions. An optional workshop session, will be part of the programme on Tuesday 10th June 2014. Well-respected keynote and invited speakers will add value and enrich your experience. HOTT3D design, manufacture and build trade show booths and exhibition stands in South Africa. We provide our National and International clients with a well thought out platform to better market their brand and products at Trade Shows across South Africa.